What does your front door say about your home when you walk up to it? Does it make for a welcoming entrance portal, or a dingy, unfriendly one? 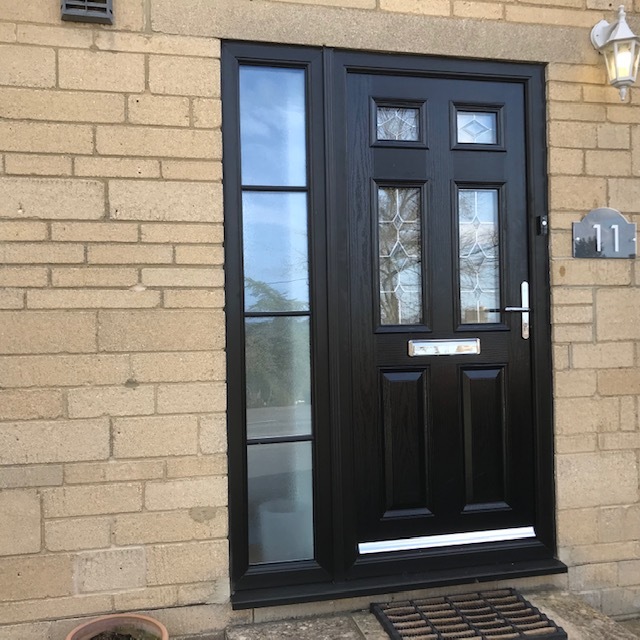 Given that your front door is a key part of what estate agents call ‘kerb appeal’, it needs to stand out and contribute to a strong initial impression. After all, it’s obviously the first thing anyone visiting your home will see. If yours is in need of a bit of a facelift, repainting it can make all the difference. After all, painted doors can chip over time, and so may need touch-ups. For your front door, you can use a colour that’s opposite yet complementary to the other shades used on the outside of your property. Find out what these hues are via a colour wheel, available via any large DIY store. For example, if the outside of your home is done out in warm beige tones, the colour wheel might point you in the direction of deep blues. Similarly, if there are green tones, the wheel may recommend something like a deep burgundy for your front door. A word of warning about darker colours, however. Because they absorb the heat, in an extremely hot summer, there’s a small risk of warping. Try a colour out before you commit. Either tape a colour sample to the door and see how it looks, or just paint a small section. If you decide to do the latter, check how it looks at various times of day in different lights. Once you’ve chosen your favourite colour, you can get to work! (Ideally on a clear, sunny and reasonably warm day.) A wooden door will need to be sanded down first, and some wood filler may need to be applied. Depending on whether there is any damage to the door, some light carpentry may be required. Once you’ve applied the filler and sanded the door, allow it to dry out. Now it’s time to add the primer coat. You’ll need to take all the hardware off the door first (or cover it with painter’s tape), and, if it’s easier, remove the door from its hinges. Choose a high-quality primer that’s intended for outdoor use. Try to avoid pure white, since this will show up if the door shrinks or moves. Once the primer has dried out, stir your paint and apply. Clearly you need to then let the door dry completely before you refit it. Apply both paint and primer somewhere free from dust, so that no particles ruin the door’s surface. Painting your door should be a one-day DIY job, and, in ideal weather conditions, can be done in just a few hours. In return for your efforts, you’ll enjoy something with a strong impact on the whole appearance of your home. Of course, it may be that you need a completely new front door. At Paradise Windows, covering Oxford and around, we have a great range of top-quality products, including composite and uPVC models. Get advice from a member of our well-informed staff today.